Thanks for your interest in the Video Imaging Officer (part-time - 20 hours per week) position. Unfortunately this position has been closed but you can search our 27 open jobs by clicking here. A good working knowledge of video enhancement systems and techniques. ONC or equivalent in an appropriate subject or 3 years of experience working on video editing systems, Digital and Analogue. Be knowledgeable of the ISO 17025 standard and ACPO Principles of Digital Evidence. Proven knowledge of the electronics used in video editing. Experience in the recovery and handling of video evidence. None, other than to coach/mentor new members of staff. Supervised by the Digital Forensics Team Leader, but is expected to use own initiative and work unsupervised on late shift and weekends. The post holder will be required to work a shift pattern that incorporates working weekends, bank holidays and from time to time outside of core shift hours. The post holder will be required to drive force vehicles and will need a full UK driving licence. Required to attend training courses as and when required within the development on the post holder and the Unit. Expected to comply with Health and Safety at Work Act, Fire Prevention Regulations and COSHH Regulations at all times. Appointment to this post is subject to specific medical clearance. Appointments and progression between salary grades will be subject to qualifications, experience and performance. 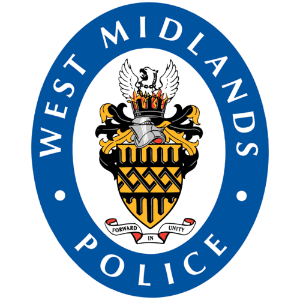 West Midlands Police are currently undertaking a long term review of staff pay and conditions. The grade, pay and other terms of employment are therefore subject to review and may change in the future.